Our story began in autumn 2007. 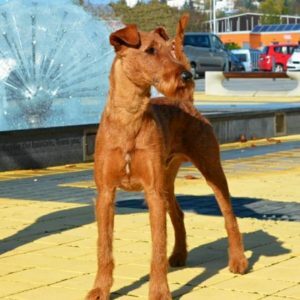 At that time we discovered a beautiful 2-years old Irish terrier girl Otylie with bright eyes in one small dog shelter not knowing that such a breed even exists. 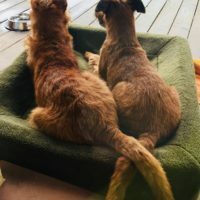 Soon we learned how amazing irish terriers can be and enjoyed many touchy moments with our girl. She was great with our babies who were born in our family not long after she came. Our happiness did not last long though. We lost her in a car accident in autumn 2012. 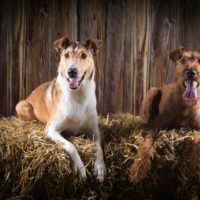 Since then we knew, we want to continue in having irish terriers as our life companions. 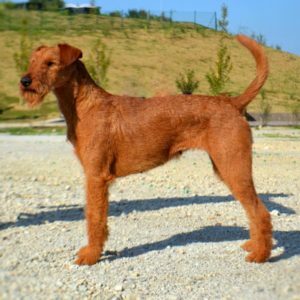 In the memory of Otylie we decided to establish an irish terrier kennel which would support such a fantastic breed with a focus on quality, loving attitude and friendly connection. In October 2012 we searched immediately for any available puppy and found Lojzik (originally Crazy Boy) in the kennel Uelis in Slovakia. Since then he has become a new important member of our family. 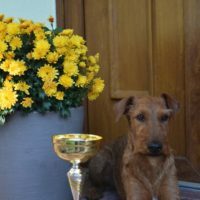 As for the dog shows he has also become very successful dog with a lot of champion titles. 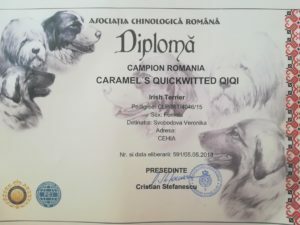 Moreover, he has successfully passed obedience exams ZZO and ZOP. 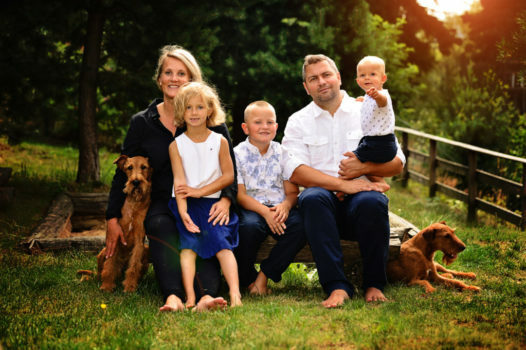 He is proud to be a father of litters in the Czech Republic and Finland. 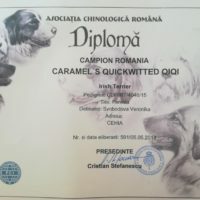 In 2014 Pepina (Caramel´s Quickwitted Qiqi) joined our family. 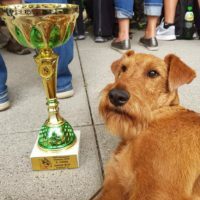 She is a wonderful dog who has passed obedience exams ZZO, ZOP and has also reached a champion title. She has also become a mother. 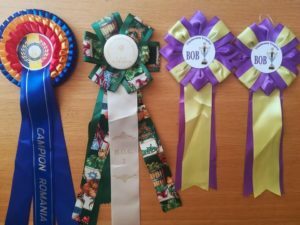 Continually we join various dog shows, dog activities (coursing, etc.) 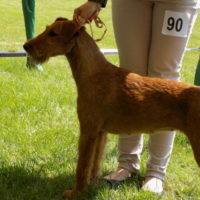 and try to support and give advice to new owners of their beloved irish terriers. 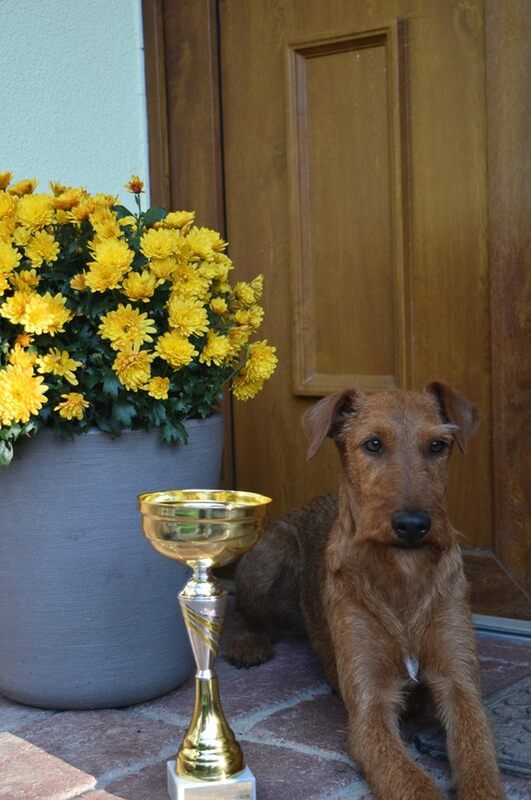 Our Pepina has achieved Hungarian champion title! 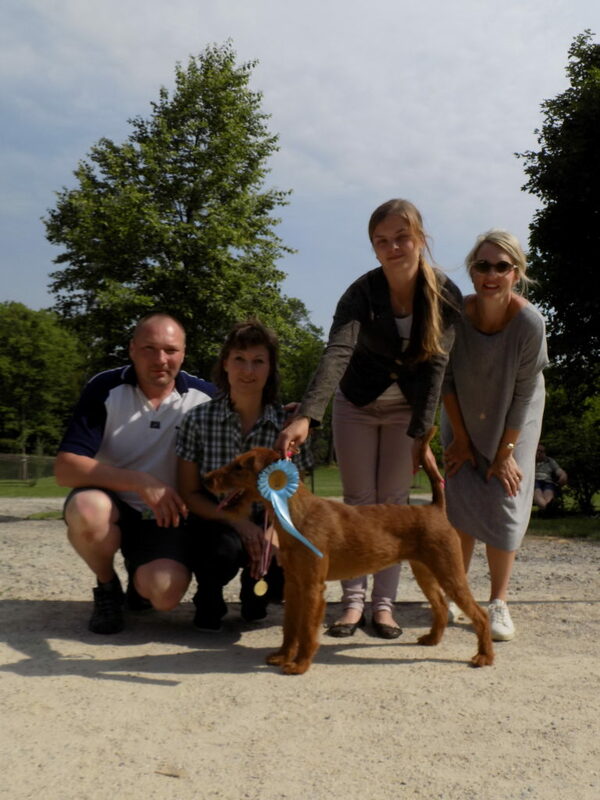 Flora Canis Show (Czech Republic), 1st September, 2018 was a day filled with lots of surprise for Biscuit Legacy of Otylie (our second litter offspring) and her owner Katka. We are more than happy for you. Special regional and club show, Veselíčko, Czech Republic 12.5.2018. Biscuit Legacy of Otylie won ex.1, CAJC, CCJ, BOJ. Congrats to her owners!